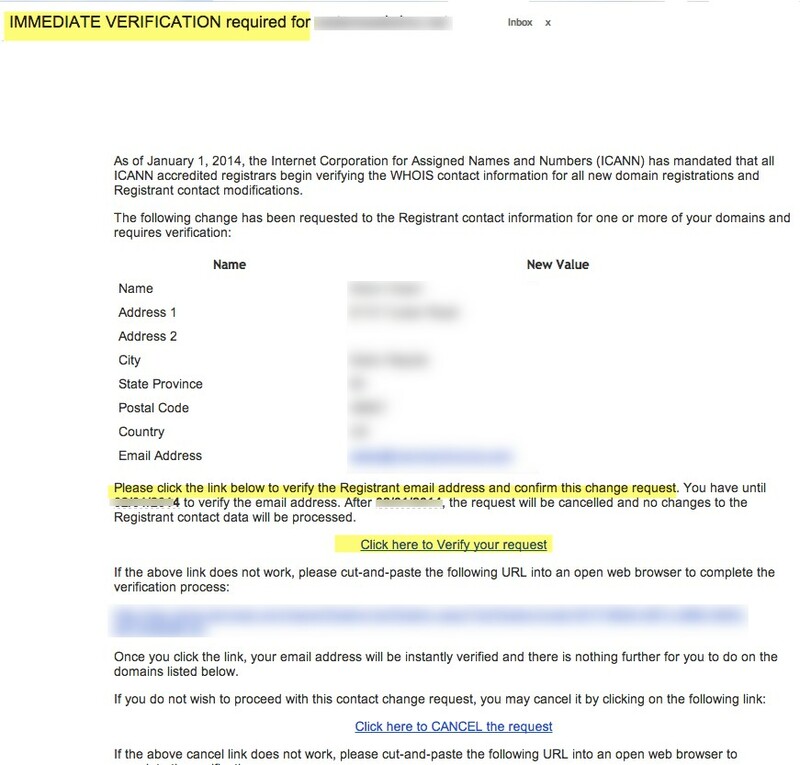 Periodicially (annually) you will receive notice to validate the accuracy of your domain information. Please do not ignore this email as it is very important. 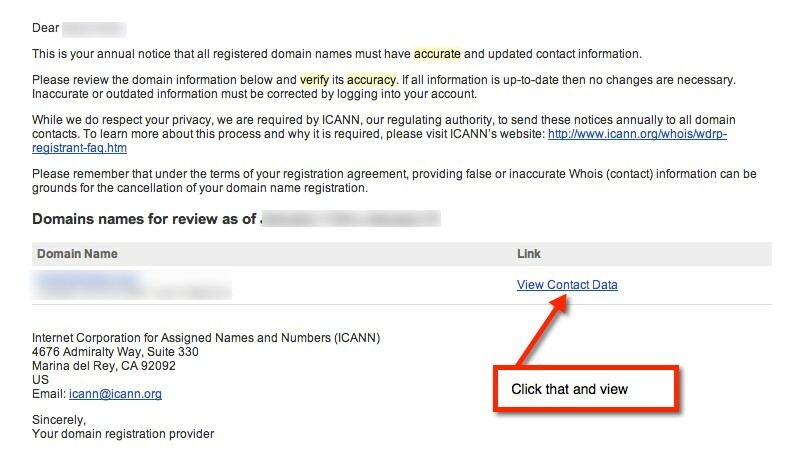 Providing false or inaccurate Whois (contact) information can be grounds for the cancellation of your domain name registration. 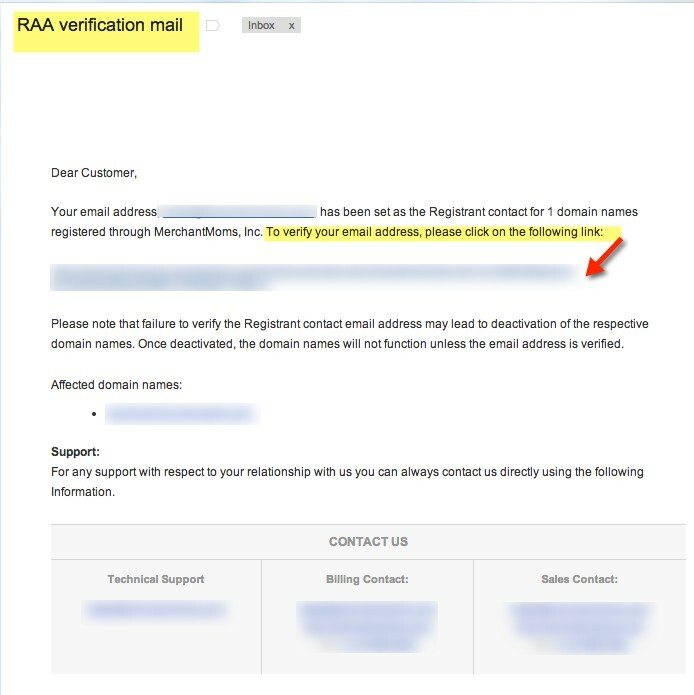 If the information is incorrect, you can either log into your client area or Manage Domain and scroll to the Contact Information (bottom) and update there; or contact us at the Help Desk to assist you in updating it.